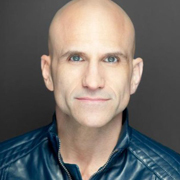 Although Michael Port will be among the first to tell you that a client's urgent needs almost always overshadow long-term goals, Book Yourself Solid Illustrated is an exercise in the opposite direction. He asks people who want to succeed to put aside their immediate needs and focus in on big dreams. He's smart to do it too. For the better part of 20 years, I've seen a relatively consistent and reoccurring life cycle among successful startups. Many take a year or two to establish themselves, make huge gains during the next few, and then slowly wind down until they eventually die. It's painful to watch, especially because companies that can succeed during the first year or so experience something that those who don't try can only wonder about. Much like their success, their original mission and vision were tied to big dreams. It makes sense that they would be. A startup is nothing less than someone taking a shot to shine. It doesn't even matter what kind of business it might be. Most cite big dreams as a common ground. The bulk of them were started by people who wanted to do one of two things. Either they wanted to launch a new product, service or outlet that they are passionate about or they want to launch a business as an extension of their career by being their own boss. And contrary to popular myth, the majority of them will succeed (for a while). The U.S. Small Business Administration estimates that seven out of ten business will succeed in the first two years before something unexpected happens. Only half them will survive a full five years. Why do businesses that succeed in the first two years fail in the following three years? While there are many reasons that successful startups fail, almost all include a change in mindset. As business owners succeed, they are more likely to give up on big dreams and focus on urgent needs. In other words, they give up on the very dreams that make them successful and start focusing on what they think they need with the operative word being "more": more revenue, more profits, more clients, more customers, more high profile accounts, more website visitors, more followers, more whatever. As soon as "more" becomes the objective, these businesses start to shrink or sink as they take on the wrong kinds of customers or clients: those that take advantage of them (e.g., empty promises and slow payments), drain the life out of them (create frustration and negative relationships), or demand products and services that have little to do with the vision (diminish resources and reduce quality). 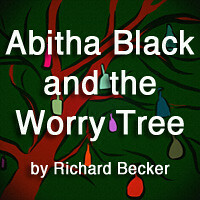 As the pressure mounts to maintain sales, problems materialize. Some owners might borrow to meet payroll while floating account debts. Others might waste time working for customers who will never be happy or refer any business. Some will substitute quality materials to push prices lower. Others will expand their offerings to appease an ever-increasing audience while watering down their uniqueness. Worse, many successful startups won't see the root problem as they struggle to preserve these short-term gains. The fact is that they are much more likely to compound the problems as they trade in their permission to dream for protectionism — the fear of losing any revenue is so strong that they will defend their most detrimental clients rather then lose them. Book Yourself Solid is a handbook for disciplined dreamers. Although originally intended for advisers, consultants and speakers, Port's Book Yourself Solid works well enough for other kinds of startups too. And while some of the tools he and I use are different, the advice reads the same. It takes discipline to succeed. You have to commit yourself to looking for the "right" clients instead of "more," even if that means giving up some short-term gains. He even goes one step further, starting with something many business owners will find startling. 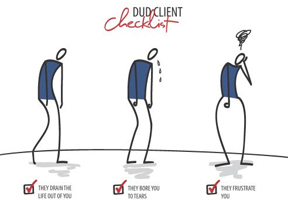 You have to dump "dud" clients, those who wear you down and take you further away from your dreams. As soon as you do, you can use the newly found time to pursue the clients you've always dreamed of working with or do more for the stars who are already part of your roster. At the same time, Port dares business owners to stop giving others permission to punish them and start giving themselves permission to act on their dreams. Stick to the dreams that made your business work for you. Avoid the objectives that make you work for your business. Any number of examples illustrate the point. An art gallery doesn't have to sell cheap prints just because some people complain about the price of the originals. A respected restaurateur won't serve out-of-season fish on the whim of a customer who doesn't know better. 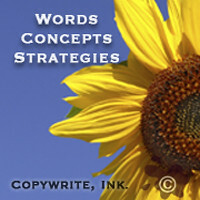 A reputable consultant won't rely on email spam or purchase back links to inflate junk traffic. Instead, Port says it's much more important to be true to what you do than try to be true to what everybody wants you to you do. There are other people who might try to be all things to all people, but you don't have to follow their lead. If you really are a leader in the field, then not everyone is your customer. You know it. Your customers know it. And Port knows it too. This may have even been one of the reasons that Port decided to make his system a little more manageable on his recently refreshed release. 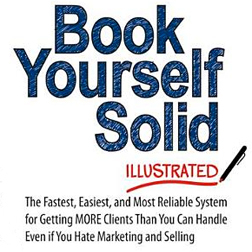 He teamed with Jocelyn Wallace to illustrate Book Yourself Solid. Although it is still hyped as the fastest, easiest and most reliable system for getting more clients than you can handle (even if you hate marketing and selling), there is something in this re-engineered book that will work for more businesses and independent consultants. Whether you are starting a business, need to revisit and retrofit your vision or have recently noticed that you don't love your business anymore, Port provides enough tools to put you back on track. Perhaps more than anything else, he provides a series of exercises that are designed to remind business owners to stop chasing the daily chaff and start giving themselves permission to act on big dreams again. So how do you know if you might need this kind of help? While I believe every business can benefit from an organization-defining communication plan, most people can start with two simple questions. Has your happiness or employee morale faltered from the day you first started? And if so, are the challenges you face related to what you wanted to do, what you actually do, how you have to do it, or who you do it for? You might be surprised by the answers. And I'd love to know what you find.